Its just few day ago we reported that Apple's future wearables will eventually become a important source for its revenue and the most important future wearable device will be Apple's AR headset which is expected to be dubbed as Apple Glasses (here). Now today the popular industrial analyst Ming-Chi Kuo has claimed that Apple is planning to develop smart glasses with a better 3D mapping technology called Time of Flight (ToF) in order to make revolutionary AR experience. According to Kuo, the distance and depth information provided by existing rear-side TOF hardware is insufficient for creating an advanced AR experience and Apple is presumably working for an AR version of Apple Maps which will be potentially used in the future AR headset. The ToF sensors will measure the time it takes for a signal to reflect from an object and get back to the sensor which will provide a very accurate position in space. However this technology is now implemented in several other industrial application, and fitting such system in a smartphone (or glasses) is obviously a technological challenge. Additionally, Kuo has suggested that Apple will likely introduce rear-side TOF in 2019 iPhone models and unlike TrueDepth, which measures distortion in structured light, a TOF system calculates the time from a target very accurately and allows extremely depth mapping which can be used in different AR applications. Meanwhile Apple’s current TrueDepth camera setup is based on the structured light technology and it create a 3D model based on the distortion in the pattern caused by the shape of the object, however this works well only for smaller objects which is close to the device. 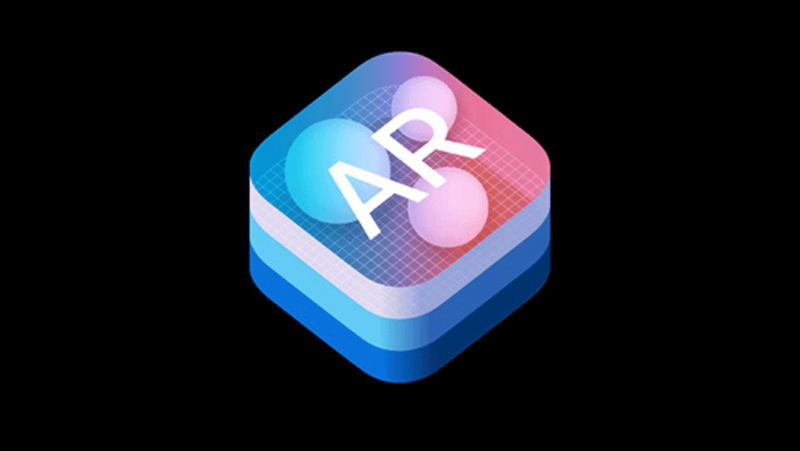 So it is expected that this new TOF technology will bring accuracy and reliability to the AR application on the future iPhone as well as Apple Glasses.